Completing the FAFSA (Free Application for Federal Student Aid) is the most important step in the financial aid process and determines your eligibility for both state of Indiana and Federal financial aid, which includes work-study and education loans. Most colleges require the FAFSA to determine your need for institutional scholarships and grants as well, so it’s always best to file the FAFSA! 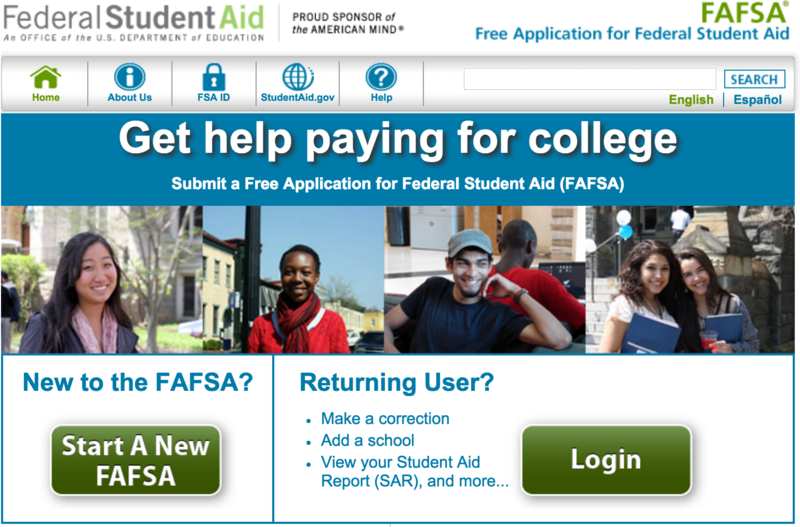 Don’t forget the first “F” in FAFSA stands for free. Never pay to file the FAFSA. If you need help, contact us! Knowing which FAFSA to file is determined by when you will attend school. We’ve created the chart below to help you know which FAFSA to file and when to file it. Filing the correct FAFSA on time can help maximize your eligibility for FREE money! Step One: Create your FSA (Federal Student Aid) ID. Here is a helpful handout to walk you through the steps in creating your ID. The student needs one, as well as one parent of a dependent student. 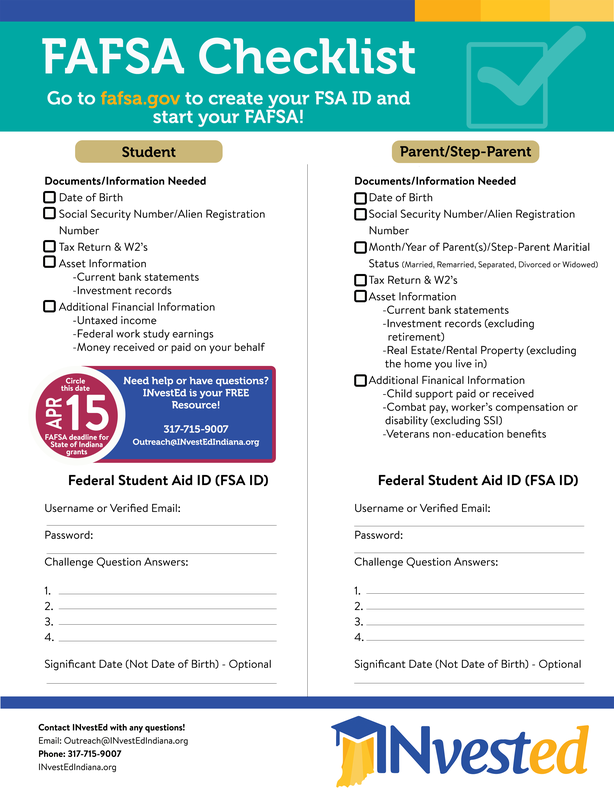 The FSA ID identifies you based on your full name, social security number, date of birth, and serves as your electronic signature on the FAFSA. Click here to create your FSA ID now! Step Two: Gather all the information you need to complete the FAFSA. INvestEd has created a FAFSA Checklist to help you identify what you’ll need, and a place to write down your FSA ID. Step Three: File your application at FAFSA.gov. A critical piece is providing accurate tax information which you may be able to transfer using the IRS Data Retrieval Tool. INvestEd has created a step-by-step guide to help you through this process. Questions on filing the FAFSA? We’re here to help. Just contact us.